The wonder of Whitaker Center at a discounted rate for participating schools. The School District Partnership Contract (SDPC) program allows schools to visit Whitaker Center for Science and the Arts with even greater savings on our school group admission rates; it also allows for discounts on other educational opportunities offered here. The SDPC gives participating school districts at least a 10% discount off our regular school rates, as well as a 10% discount on Whitaker on Wheels (WOW) outreach presentations and educator professional development workshops. There is no membership fee. The SDPC program also simplifies the field visit process for teachers because they do not need to send in deposits to hold dates or bring any payments on the day of the field visit. Whitaker Center will invoice your school district directly for all field visits by the end of the school year. 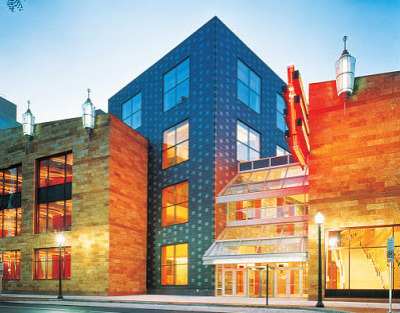 To qualify for the program, Whitaker Center requires the school district to make a commitment to send a certain number of students and chaperones to Whitaker Center during the designated school year. There is NO MINIMUM or MAXIMUM number of students set by Whitaker Center; that is something your school district decides.